Every bride dreams of a fairytale wedding with all the trimmings in a picturesque setting. With 12 years experience and 1000 weddings later, Zambezi Point can certainly make wedding dreams come true. Imagine a lovely thatched reception hall on a country estate overlooking the Northern hills of Pretoria, with the warmth of the sunset spilling over the lush gardens and finding its way into the venue to embrace the bridal couple and all their guests with a natural tranquility. For the actual wedding vows, you get to choose between the traditional stone wedding chapel with its thatched roof and serene ambiance or an open air ceremony under the garden gazebo. 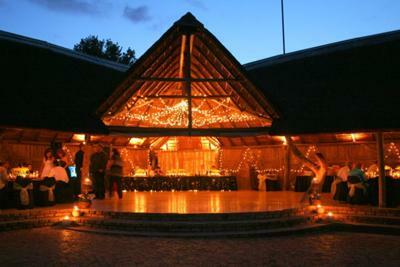 In addition to the conventional reception hall, Zambezi Point also has on offer an authentic, African Boma which is ideally suited for a more rustic type of wedding with a huge bon-fire setting centre stage for a magnificent outdoors wedding celebration under starry skies, although it should be noted that the Boma seats 200 people under cover, just in case the heavens should open up and bless your special day. 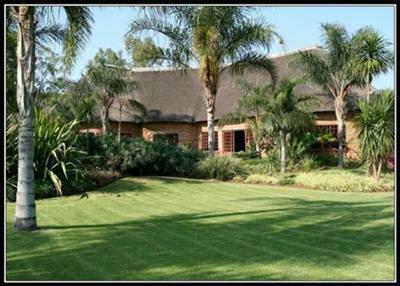 Zambezi Point is located 3 km from the N1 highway in Zambezi Drive, direction Cullinan. Our office hours are from Monday to Friday 08:00 – 16:30 and on Saturdays strictly by appointment only. To make an appointment please contact us on 012 808 3340. We are closed on Sundays and Public Holidays.